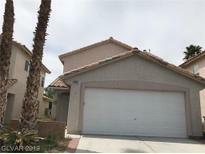 Find Silverado Ranch, NV Homes for sale. View Photos, Maps and MLS Data Now! Huntington - Upgraded features include newly installed carpet, and overall fresh interior paint. MLS#2089876. Opendoor Brokerage LLC. Maryland Pebble - Master has large walk-in closet with double doors. Newer AC unit. MLS#2089858. eProNet Realty. 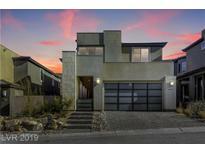 Silverado South - Close to shopping, dining, parks, freeway. A must see! MLS#2089439. BHHS Nevada Properties. Crystal Springs - Sweeping Staircase & Soaring Ceilings Welcome~Entertainers Delight Kitchen w/ Granite Counters & Island for Gathering~Large Flowing Great Room invites w/Fireplace and Leads to your Outdoor Kitchen complete w/Sparkling Pool and Lush Landscaping~Desirable Ensuite Bed/Bath Down~Master Suite Amenities Feel Like you're on Vacation~Delightful Surprise~Truly a must see home! PREVIEW NOW! MLS#2088828. Redfin. Come quickly...this one won't last! MLS#2088365. Keller Williams Realty Las Vegas. Enclave - Upstairs Master W/ Large Private Bath. Great Location MLS#2088318. Key Realty Southwest LLC. Huntington - Close proximity to shopping, restaurants, park, freeway, and schools! MLS#2086661. Keller Williams Southern Nevada. Silverado Springs - Good Size Backyard With Pool And Covered Patio. 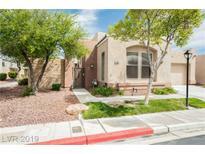 MLS#2089040. Nevada Real Estate Corp. Crystal Springs - Open space upstairs includes a LOFT HOUSE HAS SOLAR CITY. MLS#2089015. Forbes Realty Group LLC. Huntington - New AC Unit 6 months ago!. Gorgeous! MLS#2088389. Realty Group Preferred. Lamplight Gardens - This unit will not last! Move fast! MLS#2088522. First Full Service Realty. Brighton Village - Close to shopping, restaurants and stores. See this one today!! ! MLS#2088421. BHHS Nevada Properties. 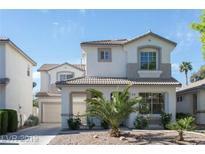 Silverado Estates - So convenient to McCarren Airport, Strip, Freeways. Parks and shopping close by. MLS#2088336. BHHS Nevada Properties.